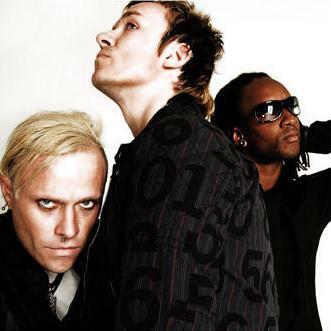 • ELECTRO geniuses The Prodigy are set to take over the charts with their new album. Invaders Must Die, in stores now, sees the group returning to their rave roots in spectacular whistle-blowing, shape-throwing fashion. • Also on a dance tip, remixers Beyond The Wizard’s Sleeve have breathed new life into some of the best singles of recent months. For Re-Animations Volume One, the duo of Erol Alkan and Richard Norris have reworked tracks by groups ranging from the Chemical Brothers to Peter, Bjorn And John to Franz Ferdinand to Late Of The Pier. • One to ponder – the sparkling Katy Perry has released a new single, Thinking Of You. The track, the third single from hit album One Of The Boys, is the first ballad to be released by the singer. • Ready to give the charts some stick are Hockey, who released their debut single on March 2. The band, from Portland, Oregon, make a sound similar to LCD Soundsystem playing Strokes numbers on single Too Fake. • Brighton-based band The Brakes have released new single Hey Hey. The track is the latest to be taken from forthcoming album Touchdown, out on April 20. • Singer Nikka Costa, the daughter of Frank Sinatra and Sammy Davis Jnr producer Don Costa, has released her new album. LP Pebble To Pearl showcases Nikka’s mixture of soul, blues, funk and pop. • Skint And Demoralised have released a new single, This Song Is Definitely Not About You. The harmonic indie jangler is a precurser to the full album, Love And Catastrophes, which is out in May. • To celebrate a successful 2008, Scouting For Boys release a free four-track EP from their website on March 9. • Oddball hip hop collaboration XRabit and DMG$ introduce themselves with their latest LP, Hello World. The album is available to buy from March 9.